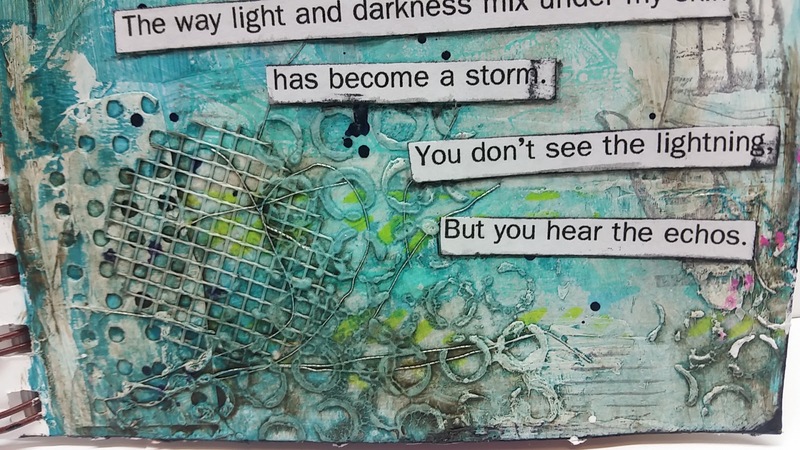 NaNoJouMo 2015 Day 1 - Art Journal Page - "This Storm"
Since 2013, I have watched Dianne (PackerDi on Youtube) participate in NaNoJouMo (National Nonstop Journaling Month) every November. Her videos always inspire and this year, I decided to take the plunge and join in! To learn all about what NaNoJouMo is and how to participate, you can check out Dawn Sokol's website here. As many of you know, I am extremely busy. (Aren’t we all?! Haha.) I have two jobs, I go to school full-time and I try to keep up with duties at home. 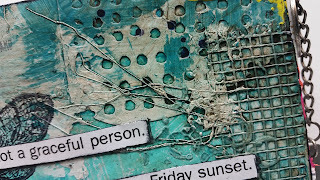 However, art journaling makes me happy so I do my best to squeeze it in. It is almost a necessity to keep my sanity. 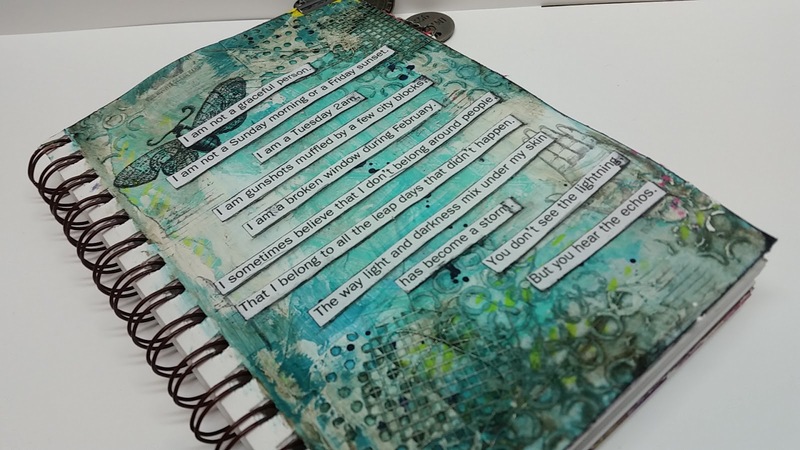 With everything going on, it seems crazy to take on a commitment to art journal every day. But as Dawn says, you don’t have to complete a page every day. 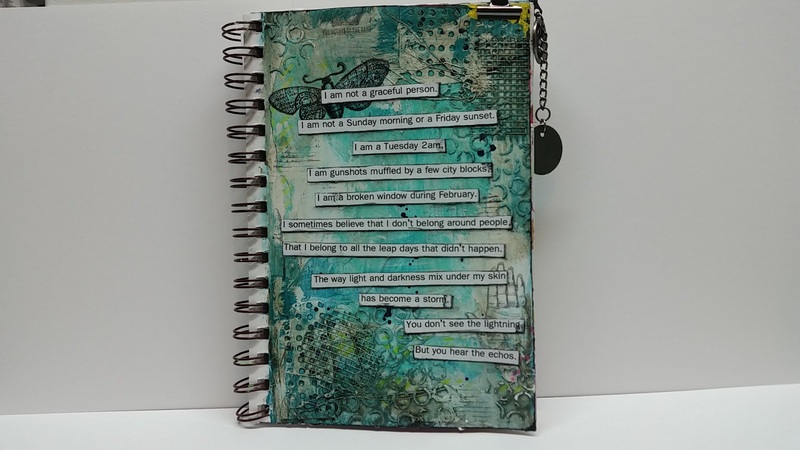 The goal is to just get in your journal every day and do a little bit. 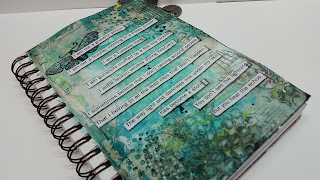 That being said, I would love to complete a page daily so that is what I am going to try to do. Since I’m trying to complete a whole page daily I am going to try to keep them extremely simple. I have a hard time doing ‘simple’, but it has been working so far. This page took me about half hour to complete. 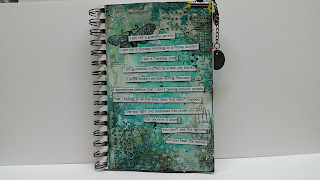 To find the time to art journal, I have been getting up 2 hours early for work. Here’s where you will think I am bat-sh*t crazy… that means I get up at 3:30 AM. Ha! But, it really sets my tone for the day. It puts me in a good mood and makes me happy. 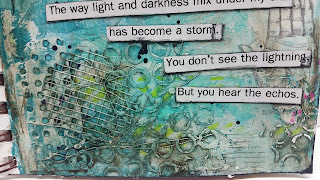 This page started out with a background idea I saw in this video by DeeDee Catron. I just love teal and brown. The prompt is; “Hello, My Name Is..” so I added this quote I found on Pinterest. It’s sad, but beautiful and I love it. “I am not a graceful person. I am gunshots muffled by a few city blocks. I am a broken window in February. Are you participating in NaNoJouMo this year?